Today, we started building electric motors. I selected a new kit this year since the usual one has been discontinued. I think it is going to work better since it is more hands on and better illustrates the key principles behind the operation of the electric motor. Today’s task was to gather the materials and construct and test the electromagnetic which will eventually be the armature. These projects are great, and I wish we had more first semester. 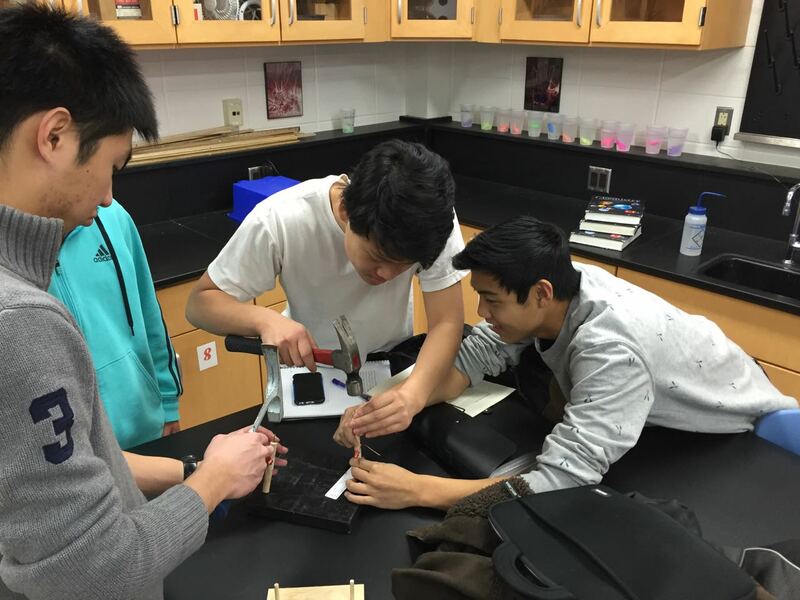 Many AP Physics 2 students need practice with hammers!